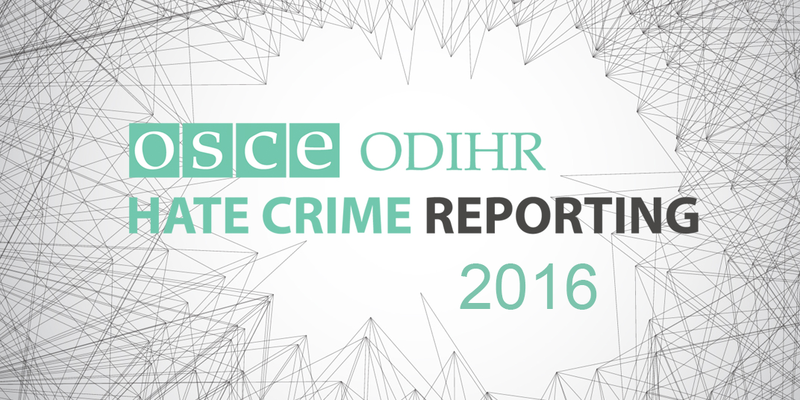 The Organization for Democratic Institutions and Human Rights (ODIHR) of the Organization for Security and Cooperation in Europe (OSCE) has published the annual report on hate crimes on 16 November. The hate crimes committed in Armenia during 2016 are all on the grounds of sexual orientation or gender identity. The cases were registered and reported by non-governmental organizations. Two Armenian, Pink Armenia and New Generation, and one international, Transgender Europe contributed to the report. Armenian State did not report any hate crimes at the state level. 13 cases of hate crimes were registered in Armenia, 10 of which were physical attacks against people, and 3 were physical threats. Last year, nine cases were registered, of which 5 were cases of physical attacks, 4 were threats, and again all the cases were on the grounds of sexual orientation and gender identity. This report is published every year on the International Day of Tolerance on November 16. 48 countries contributed to the development of the report, of which only 16 presented official state data.